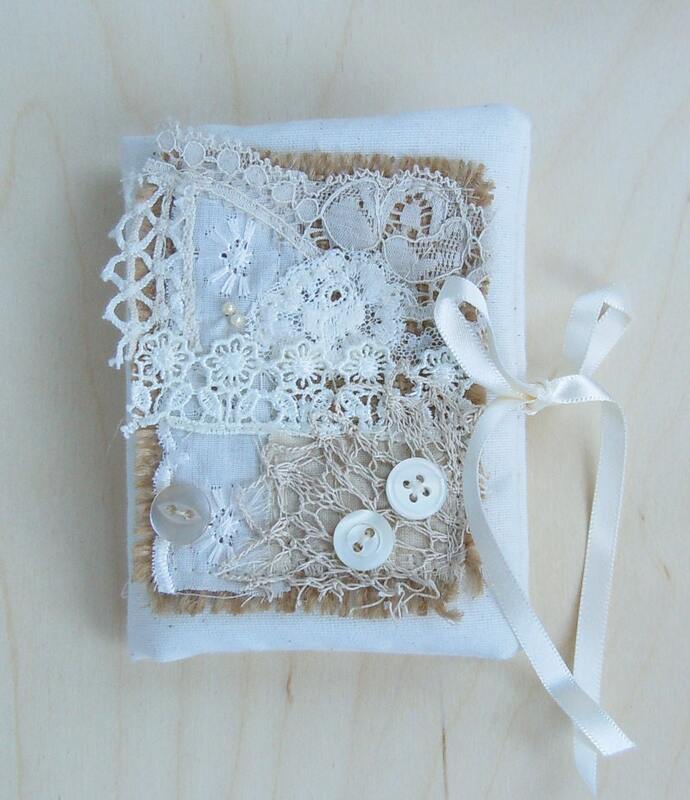 A pretty little needle book to hold all your needles and pins safely. Made from a cream fabric, decorated on the front with burlap / hessian, lace, buttons and beads. The book closes with a satin cream ribbon tie. The book contains four off white felt pages. A lovely little gift for the sewing enthusiast, quilter or embroiderer.